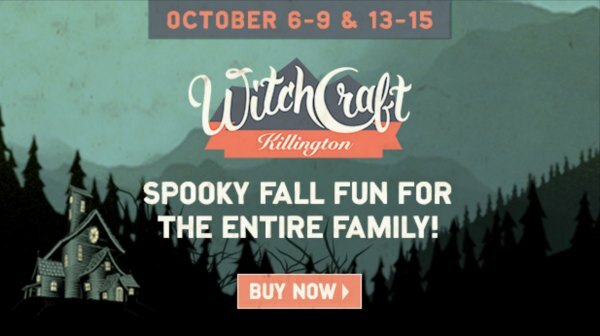 My family and I received complementary tickets to Killington WitchCraft. My husband and I were about to celebrate our 17 year anniversary and we couldn’t think of anything better we would have liked to do! The weather was working against us, but it was warm enough to still enjoy the festival. 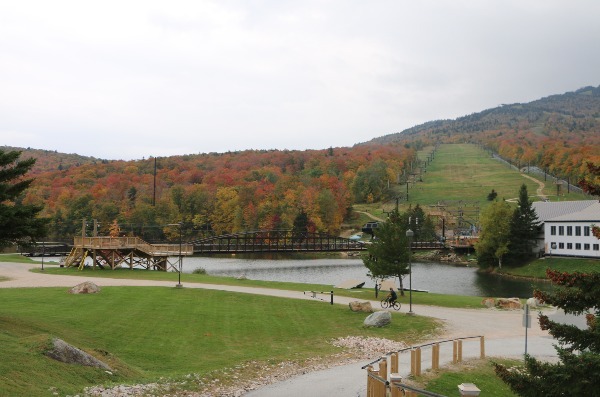 The foliage is gorgeous in Vermont and being in this place was magical. (Rain or not!) People still came out to participate in the Fall family fun. 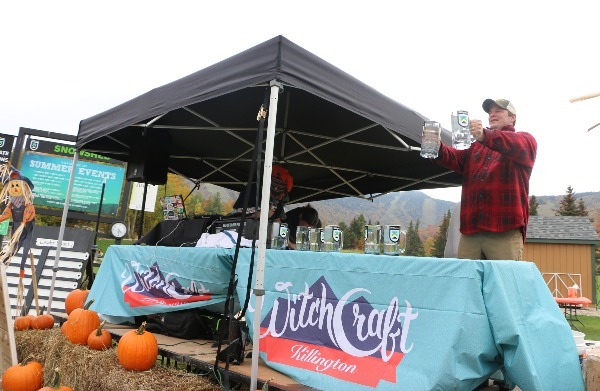 WitchCraft Killington truly has something to offer for everyone. 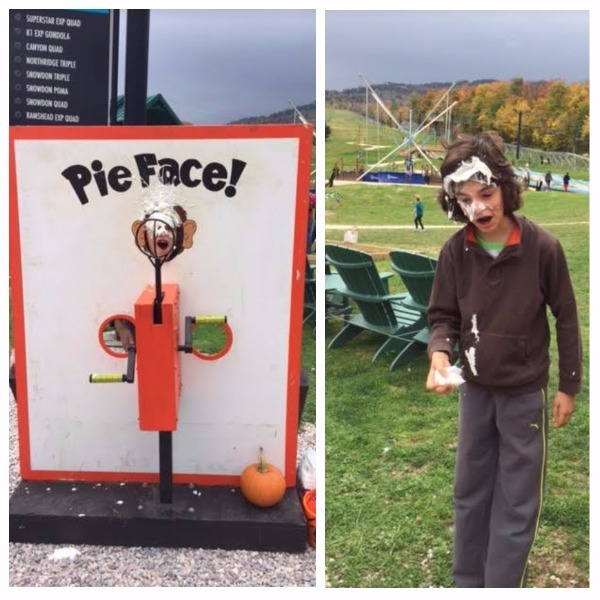 My son was the victim of Pie Face! One of many games that are included in the event. He did get a lollipop in exchange for being such a good sport. The Beast Coaster was a big attraction. It is available with an Adventure Center ticket. We went on it as a family. 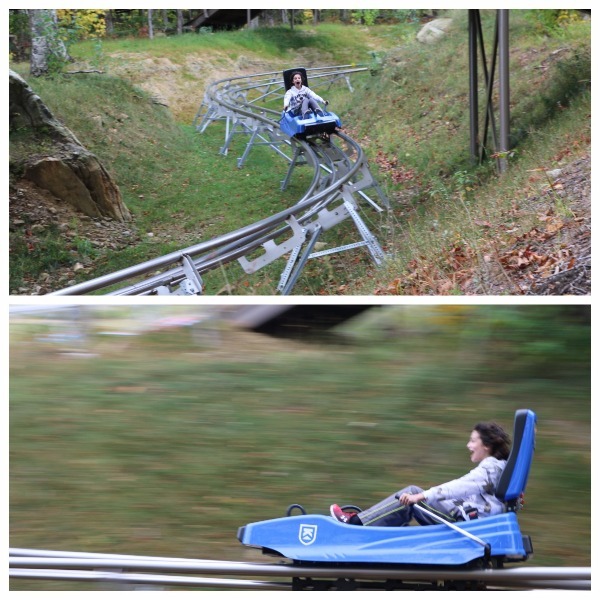 The Beast is a 4,800-foot-long alpine coaster that twists and turns through the woods with 360-degree corkscrews and supplies thrills for all ages. Must be 52″ tall to drive; 36″ tall to ride with driver. 300 lbs. max combined driver/rider weight. Yes, we went on this in the rain and then came back and did it again! There is plenty to do for the little ones as well. Pumpkin painting, a playground, hay rides, and a bounce house! There is so much more, but the rain forced a few things to be closed at certain times of the day. There are a few different ticket options so you can pick just the right combination for your family! You can visit the US Family Guide for 20% off package prices. Lodging prices do not include WitchCraft event tickets. 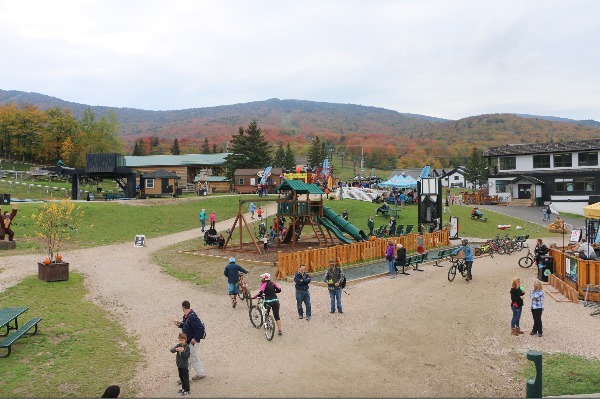 The lofts were open for mountain bikers and leaf peepers! 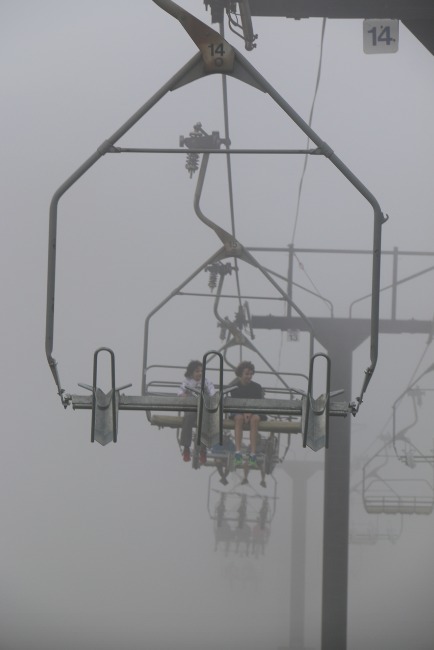 The fog was rolling in and it actually made for a different experience. It added to the creepy witchcraft theme! 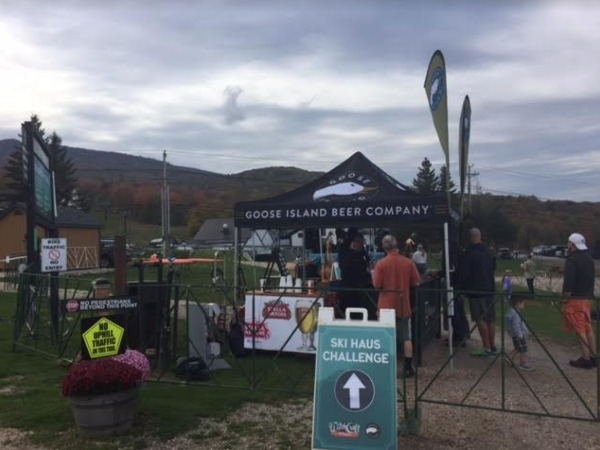 Guests 21 and over can sample a wide selection of craft beers while enjoying the mountain views at the Goose Island Beer Garden. My husband and I even took part in the Stein Hoisting Contest! The DJ played our wedding song while we challenged each other. As you can see my husband is the last one standing, while Moon River by Henry Mancini plays in the background. 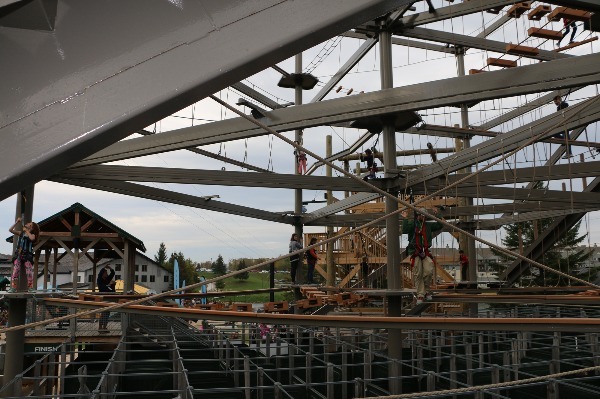 The Haunted Maze is not only a ropes course, but it has a little kid friendly maze below! As you can see, olde children and adults can hit the top and anyone can take the bottom maze challenge! My boys rocked the top! The husband and I encouraged them from the sidelines. We had ziplined together, rode the Soaring Eagle and had the best time ever! My only wish is that the attractions would stay open later. 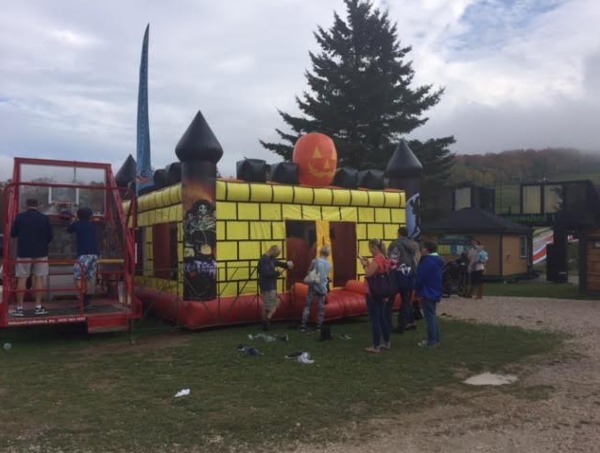 The event runs 10 – 5 with the exception of the Haunted House on Saturday. We waited on a long line for the Haunted House and even added a member to our family when we found out a lone 10-year-old was a couple of people behind us. We wondered if it was worth it. The answer: YES! It was spooky and fun!!! The earlier you go the less scary it is for the littles. If you want to be scared head there later! 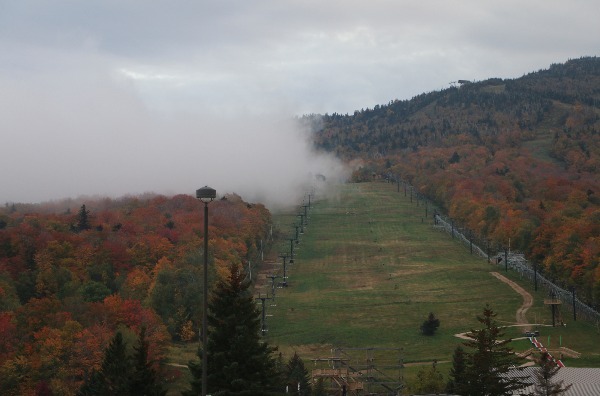 We got very wet, had a great time together as a family, and can’t wait to get back to Killington. 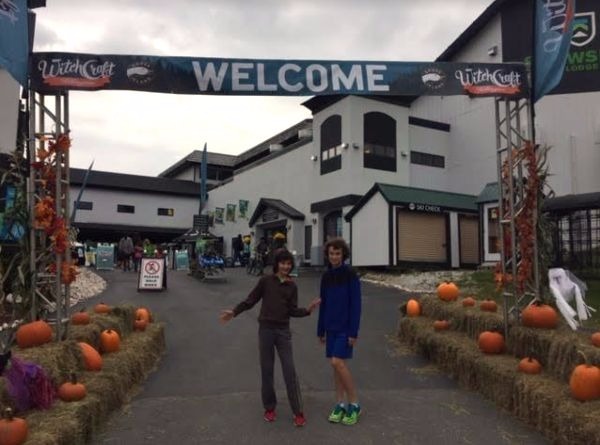 The staff here is amazingly friendly from the rental shop, the event booths, Adventure Center, shops, and restaurants. You have one weekend left to enjoy the fun until next year! We highly recommend it! Looks like you guys had a ton of fun!! I love seeing the fall foilage. I live in Florida and we really never have a “fall” season. Glad you and your hubby had a fun celebration to boot! Interesting name for the festival. I’ve never heard of one called that but it looks like a typical fun fall party. Happy Anniversary! I’ve never heard of this before but it sure looks fun! So much to do my family would love it here. I need to check it out! 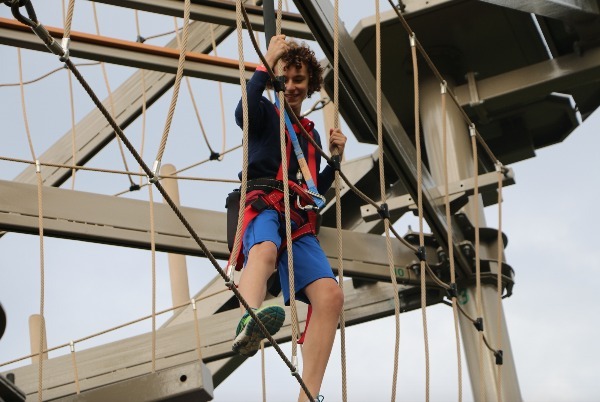 They have so many great activities! Looks like you guys had a great time at this event. That looks like such a fun event! 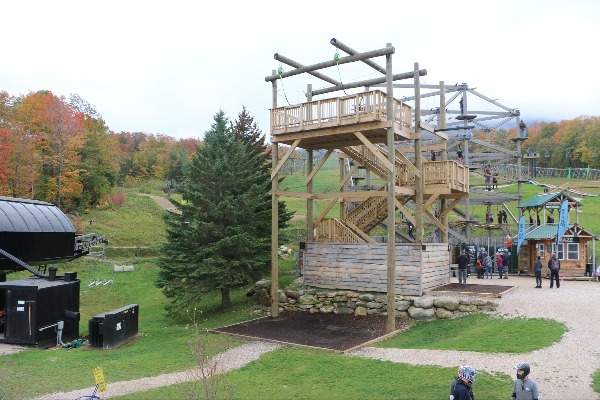 So many great family-friendly activities and of course, the scenery is gorgeous! This is definitely something I could enjoy once our boys are a little older. Definitely should check it out once their old enough. Thanks for the post. This looks like so much fun! Wish we had something like this near us. One of my favorite things about fall are festivals, pumpkin patches and apple picking! 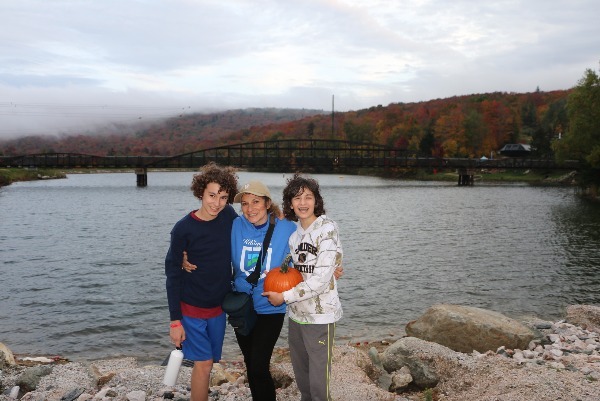 Sounds like you all had a great time and got to enjoy a lot of fun fall activities. Looks like a beautiful area. 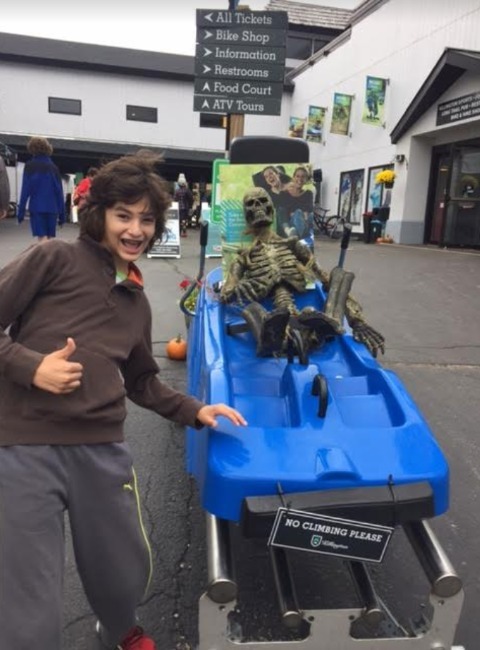 Halloween is my favorite holiday so I’m always on the hunt for places to celebrate the season with my family. This looks like so much fun…as long as you don’t get pie in your face. Wow. This is the best place for celebrating Halloween. I have never been to Vermont, but I’d love to go just to see all those beautiful fall leaves. Seems like a fun little festival. Perfect for Halloween. Wow……that looks like such a fun and cool place. Vermont is gorgeous and I love when the fog rolls in. The Beast sounds like such an awesome ride!